Last month, I put together the following posts containing my thoughts about the future of Information Professionals. 1 -- We've published a white paper on the Future of Information Professionals. It's free. Download it. Send the link to your friends and colleagues. Give it to your kids to show them what you do and why it's important! Defining the Information Professional of the Future. Copies of the new study guide are FREE to AIIM Professional members and $69 to everyone else. CIP Study guide is HERE. In the mainstream, the focus is still on on-premise applications built on and for the PC. The core skills that are valued in the mainstream are focused on building and developing systems. At the edge, the focus shifts to the cloud, mobile technologies become the Lego building blocks of systems, and the skill sets that are valued within our IT staffs shift from building and developing to configuring and connecting. So let’s return to our PEOPLE -- PROCESS -- TECHNOLOGY triad and think about how the world has changed -- and will continue to change. On the PROCESS side, a revolutionary thing has happened. Process owners can now implement their OWN solutions. This creates incredible pressure to take monolithic business processes and turn them into applications. On top of this, the world is rapidly shifting to one in which most interactions will be on mobile devices. This means all processes must be reformulated from a mobile perspective. This has interesting implications when we think about the world of TECHNOLOGY. As mentioned earlier, configuring, connecting, and mobile skills are now critical and in short supply. We need to rethink the entire notion of security. Security that was once defined purely in terms of what was inside and outside the firewall now needs to be reconstructed around individual information assets. And organizations are experiencing a massive Legacy drain on their ability to innovate. Perhaps the most extreme change has been on the PEOPLE side of the equation. We have moved into a world in which usability is EVERYTHING. Even individual users can implement their own enterprise-like solutions, and if we try to get in their way they will do it anyway. There has been an enormous blurring of the lines between what is the home and what is the office. There is no way to put this genie back in the bottle, and organizations must understand that Millennials operate in a fundamentally different fashion than the email generation. The implications of this relative to how we manage information are profound. The kinds of questions that are being asked in our organizations vary greatly depending on whether you view the world from a PROCESS perspective, a TECHNOLOGY perspective, or a PEOPLE perspective. And in an era in which enterprise-like capabilities are increasingly available without IT intervention, the short-term pressure for each of these people to actually communicate and cooperate with each other is decreasing. Each of these players in the information management story has a different role to play in the organization, and in some ways they are all versions of information professionals. However their needs and requirements are vastly different. End users need education on responsible computing practices and need to understand how their organization wishes to place boundaries on their use of information. 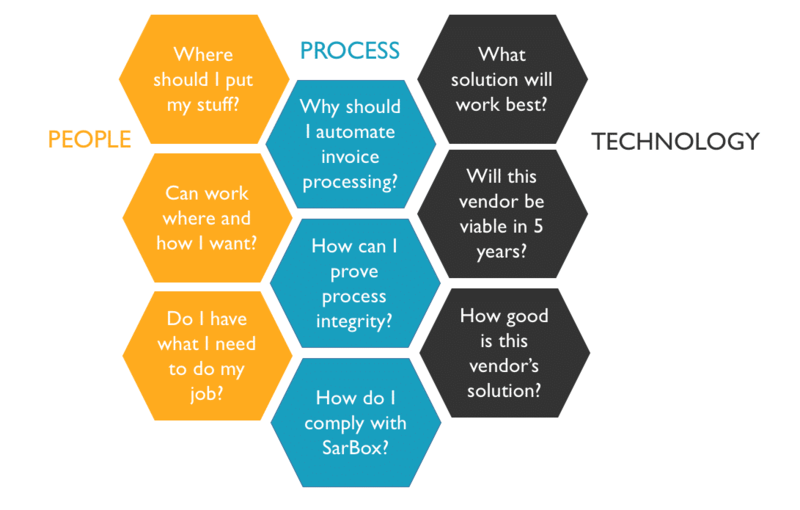 Now that process automation solutions are available to a much wider range of companies than ever before through SaaS solutions, line of business executives must be educated to better understand what is possible. And technology specialists must keep up with a wide range of content and information management solutions, understand the relative strengths and weaknesses of each, and try to forecast the survivability of individual companies into the future. But this still leaves the fundamental question of the role of the Information Professional in all of this. Someone needs to own the big picture. Someone needs to provide adult supervision to the process people, technology people, and end users that interact with content and information management systems. Someone needs to help the organization think through what it means to manage information as a critical business asset. Someone needs to act as the translator of the unique language of each of the people who interact with our information systems, whether they are from a PEOPLE perspective a PROCESS perspective or a TECHNOLOGY perspective. 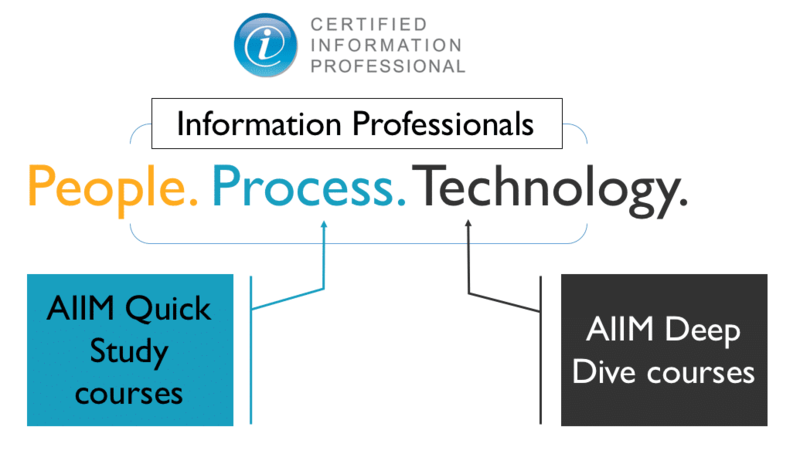 We believe that that person is an Information Professional, and the CIP (Certified Information Professional) is his/her badge. 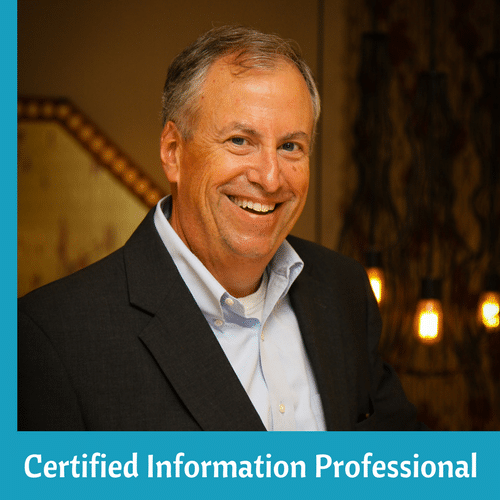 Free e-book -- What is the new Role of an Information Professional? A bit more from my keynote at #AIIM16 on the Future of Information Professionals.